We were observing this Vulture from beginning of our photography. We came across many times with them in few numbers. On my birthday while going to Ambaji temple we saw few Vulture flying over the road. So we stop and look out for place from where they are coming and then we locate big flock of Egyptian Vultures. Their number was almost more than 200. It was great number for us. 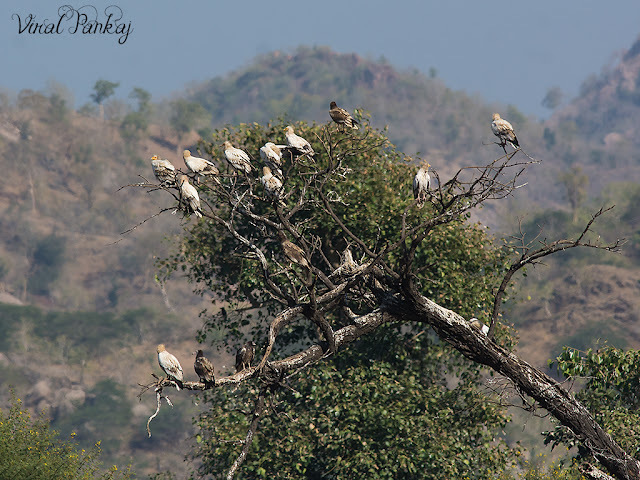 They are flying, resting, preening and doing their normal activity. They came to eat the discarded dairy waste…!!! There are many juvenile, sub-adult and adult. Many of them are juveniles and there will be good sign that birds have settled in this region, making the place their habitat. 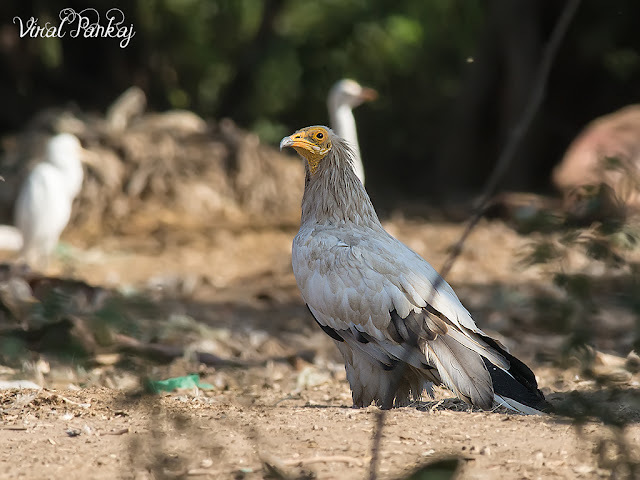 The Egyptian vulture (Neophron percnopterus), also called the white scavenger vulture or pharaoh's chicken. Egyptian vultures feed mainly on carrion but are opportunistic and will prey on small mammals, birds, and reptiles. They also feed on the eggs of other birds, breaking larger ones by tossing a large pebble onto them. 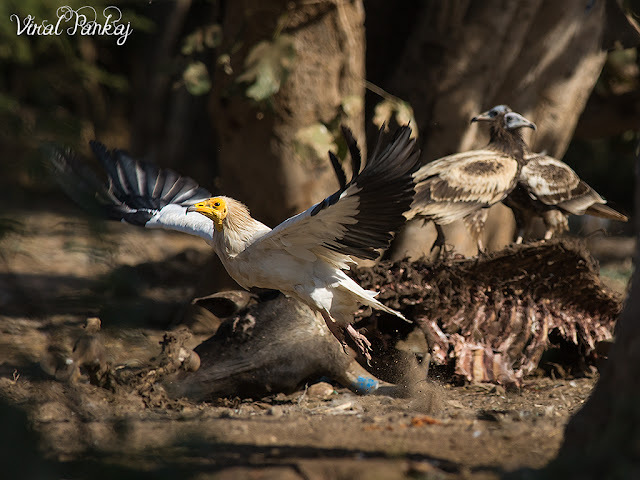 The use of tools is rare in birds and apart from the use of a pebble as a hammer; Egyptian vultures also use twigs to roll up wool for use in their nest.The adult's plumage is white, with black flight feathers in the wings.